Janet joined Synergy Global in 2018 as Team Leader – Innovation, having met Heather-Jane through the International Coach Federation (ICF) where they have both served on the Leadership Team. She specialises in helping clients lead digital transformation or at least open their minds to it! Especially innovation coaching, education & cultural consulting, to help people open their creative potential & achieve their innovation goals. 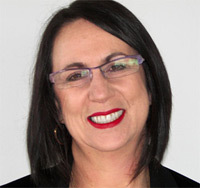 Janet has 30 years of leadership experience, including Effectiveness Consulting, Change Facilitation & Executive Coaching with some of Australasia’s & Israel’s top 100 companies. Earlier in her career, she was Marketing Development Manager for part of the Myer Group. She then launched Australia’s first design management consultancy & worked with some of the world’s leading fashion/lifestyle brands including Chanel & Seafolly. Realising that some of the best business plans often end up in the ‘bottom drawer’ she became an implementation specialist focusing on the how-to’s of transformational change – hence her interest in Synergy Global. Janet has an extensive training, facilitation & coaching skill set, specialising in designing experiential & adult learning processes & in effecting mindset & behavioural change with clients including Westpac, Commonwealth Bank, NAB, Lend Lease & AAPT. She has presented on innovation & entrepreneurship at the World Business & Executive Coaching Summit (WBECS), Global Women’s Leadership Summit (GWALS), Creativity & Innovation Summit, at Ellen MacArthur’s’ Think Differently Festival, & at the Creative Innovation Conference in Australasia. She has also presented at the Coaching without Borders Innovation Workshop (Hungary), at the ISPIM Conference (Melbourne), at the EU Innovation & Entrepreneurship Conference (Brussels), & on various global ICF Continuing Professional Development (CPD) Programs. She blogs regularly & is acknowledged as #12 in the Top 20 Innovation Bloggers of 2017 at the Innovation Excellence Blog & is one their Top 50 Innovation Bloggers globally. Janet helps clients to achieve their innovation goals by challenging people to be, think & act differently to co-create a world where people matter, & innovation is the norm. Innovation Thinking - generative inquiry for thinking/acting creatively to effect change, collaboration & innovation. Janet is a great fit with Synergy Global because she is values-based, with an attitude of abundance – always willing to share her 30yrs of proven business experience to provide wise guidance to enable our clients & our team to be successful physically, emotionally, spiritually, & financially. She integrates spiritual intelligence ideas & practices with the newly emerging wisdoms (emergence theory) alongside nature, to shape innovation & strategic & systemic change. She creates safe & sacred spaces for people to raise their consciousness & connectedness to shape innovation & global change. She now lives in Melbourne with her supportive husband Barry, plus their two dogs & one cat. On the rare occasions she is not learning by doing/ ‘failing’ in the innovation space, she’s meditating or enjoying yoga, reading, or travelling.